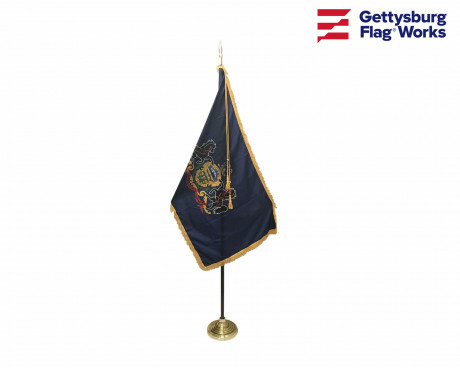 At Gettysburg Flag Works, we're proud to offer a number of state flag sets. 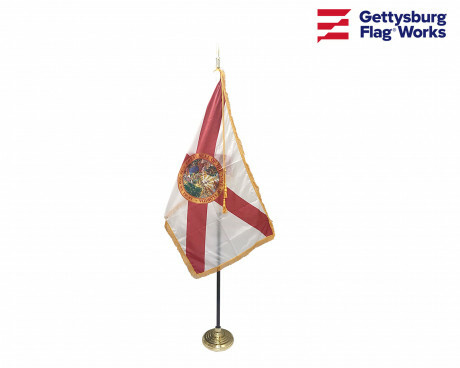 From sets that include everything you need to display individual indoor state flags indoors to complete flag sets including the flags of all 50 of the United States, we've got you covered when it comes to state flag collections! In addition to an American flag, most podiums and stages also sport a classy indoor state flag. 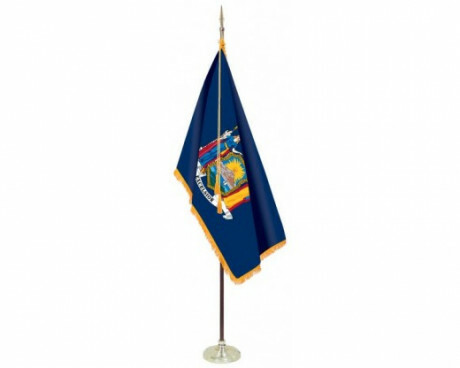 Our complete state flag sets include a fringed indoor flag and all of the hardware necessary to display it properly. A beautiful display will invoke a sense of pride in anyone lucky enough to view it. 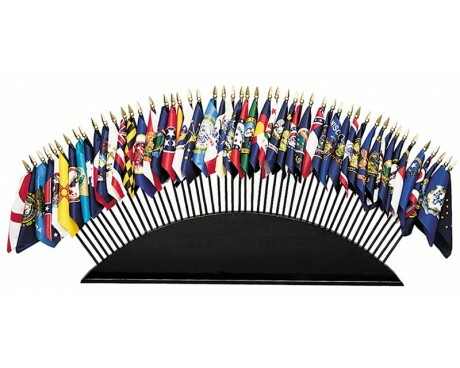 Whether it's a set of state stick flags or a display of large state flags, displaying all 50 state flags together is impressive. The array of colors and the imagery of the designs will surely capture the attention of anyone who walks by. 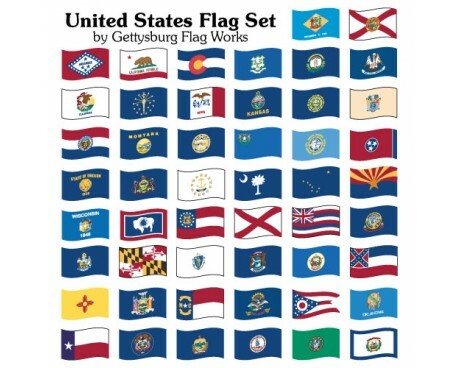 Each state flag is different and if you take the time to learn a little bit about the symbols on them, then looking at the complete collection will be a fun dive into American history. 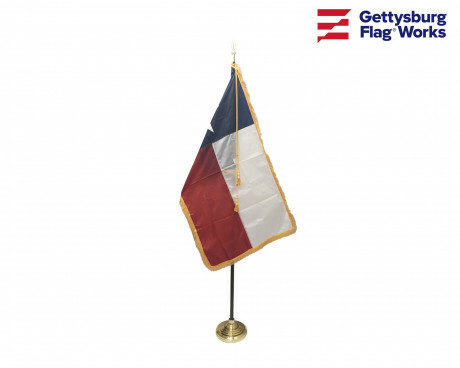 We carry indoor US flag sets as well as US flag sets suited for outdoor display. Not sure which option is best for your specific scenario? Give us a call at 1-888-697-3524 and we'd be happy to help you figure it out. Order Your US State Flag Set Today! Whether you work at a school or educational institution or you're a flag enthusiast interested in collecting US flags, you've come to the right place! 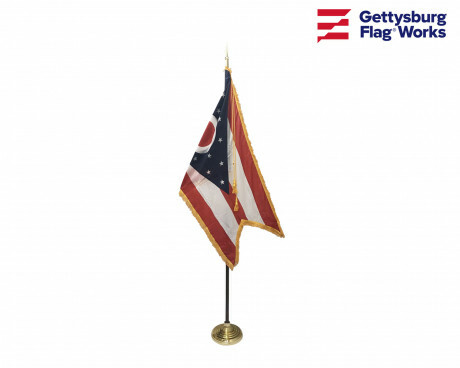 Our US flag sets and collections are made of high quality materials and are made right here in the USA. 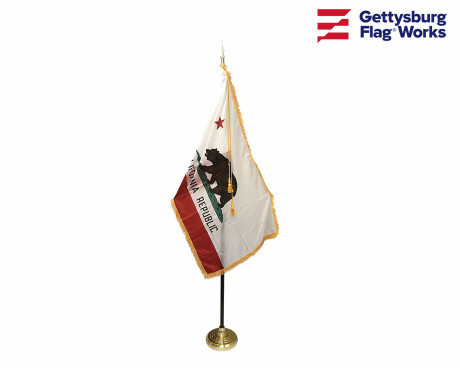 Ready to order a state flag set? Place your order online or give us a call at 1-888-697-3524 to order over the phone. Have questions? contact us online or call our staff and we'd be happy to answer them for you!